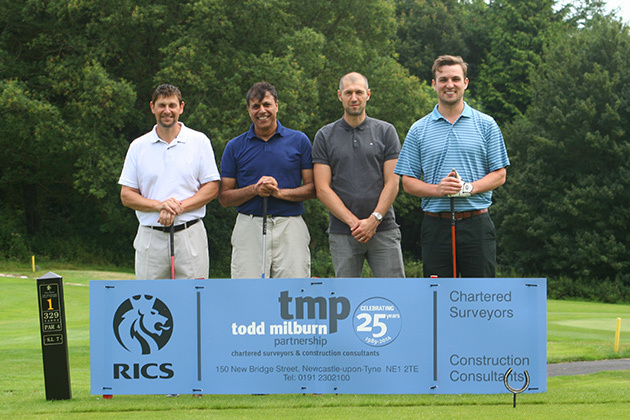 AMA were recently invited to participate in the Todd Milburn Partnership golf day at Close House Golf Club, near Heddon. 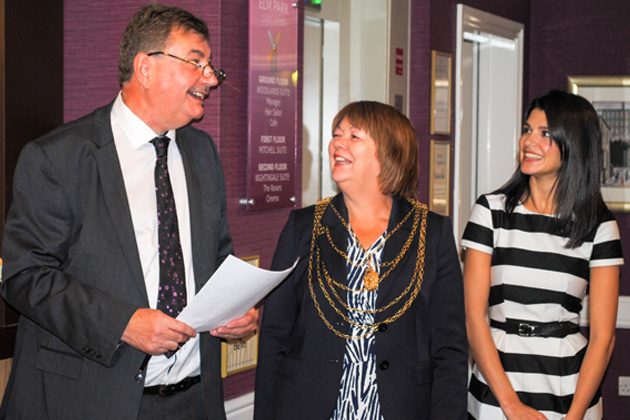 The day was in celebration of 25 years since the Todd Milburn Partneship firm was formed. AMA work closely with many of the construction consultants, contractors and clients who were there on the day and know full well how competitive it can be. That said, the day was really well organised and the emphasis was on the fun and social side of things. Being part of the final group, AMA’s Ollie Currie was playing fairly good golf (for once) and helped contribute to a winning team effort! It was a superb day with great weather and hospitality and we would like to wish all the staff at TMP the very best in the anniversary year and for the future. Pictured are the winning team of Colin Anderson, Tom Chopra, Will Mawson and Ollie Currie [L-R]. After a re-design of the building, to suit new client requirements and lift the quality of the design and materials to a level befitting of a flagship care facility, the development at Meadowfield in Ponteland is rapidly taking shape. The six assisted living units, which will provide independent living to residents with the support of the staff and facilities of the main care home, are nearing completion. The main care home, which will provide care facilities for 73 residents in a mixture of bespoke, en-suite rooms and individual open plan suites, is also taking shape. 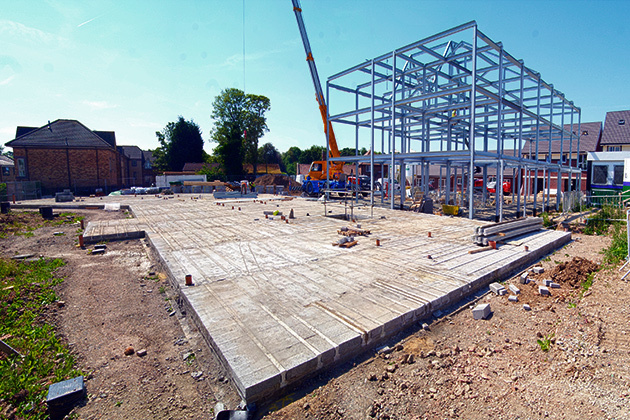 The steel frame element of the build is now complete and the external masonry underway. Using a mixture of Portland Ashlar and two contrasting facing bricks, the external façade of the building provides a unique, quality feel to this flagship care home for the Crown Care group. 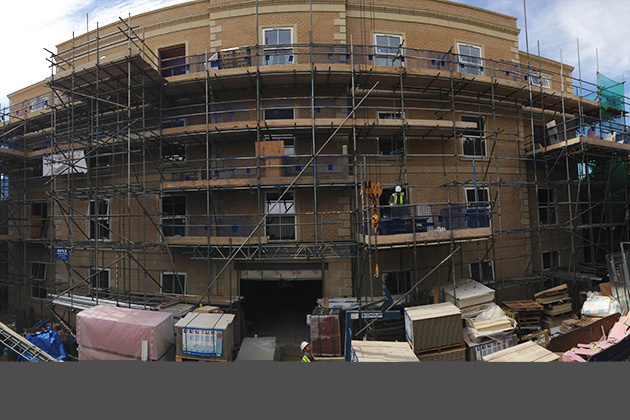 With the expected completion date fast approaching, the 72 bed Northampton care home in town centre is nearing completion and looks set to be a fantastic addition to the Georgian street scene. The 4 storey building is to offer high dementia care and includes some unique features, as well as high level roof terrace with extending views over the towns roofscape. The first project with the client has produced a bespoke home and hopefully the first of more to come.